We keep your pet safe and are safe for your pet with our exclusive SafeLink® FM technology and safety features (such as AutoMemory®, TattleTale® and battery status light) and settings that can be individualized for all breeds, ages and pet personalities. Fido’s Fences provides on-site training using a safe and effective training program that includes visual recognition of boundary flags, learning to retreat from the audible (or vibration) warning signal and learning that there is an unpleasant sensation if they cross the boundary. Over the river and through the woods? Backyard only . . . but not the pool and flower garden? Create a swimming area in the lake? It can be done. An electronic fence is more flexible and less expensive than a traditional fence. 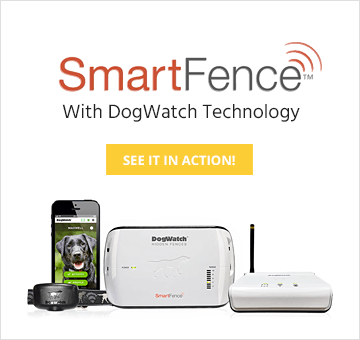 And your dog can’t jump over, dig under or chew through an electronic fence! All Fido’s Fences products are effective for cats, too! Create an invisible boundary that keeps your cat in your yard and out of the kids’ sandbox. You can also create an indoor cat fence to keep kitty off the kitchen counter, away from your new sofa and out of the baby’s room. And you can use the system for cat containment and dog containment at the same time! Also works for other “pets” including pigs, goats, sheep and more! Read more. DogWatch receiver collars have the longest battery life available – up to two years for our R9 receiver. Fewer batteries are good for your wallet and better for the environment. And, most importantly, safer for your pet! Our electronic fence products are built to last. 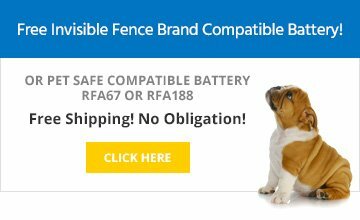 We offer a no-nonsense Lifetime Equipment Warranty on our installed electronic fences – including dog chews!